Good lawn care goes beyond just mowing and watering. It's important to know how to care for your lawn so it remains healthy and beautiful. 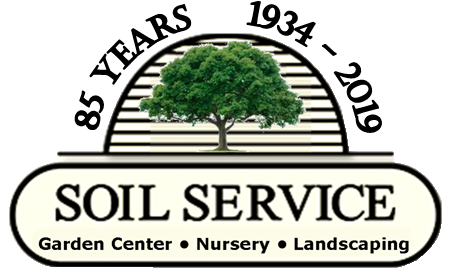 Soil Service Garden Center combines decades of experience with expert knowledge to help do-it-yourselfers care for their lawn throughout the year! Spring lawn care begins with Ferti-lome All Seasons Lawn Food Plus Crabgrass and Weed Preventer. Use in early spring on established fescue or fescue/bluegrass mixed lawns, before weeds germinate, to control many annual grassy and broadleaf weeds, including crabgrass, foxtail, purslane, spurge and knotweed. Do not apply to areas that will be or have been seeded in spring. Ferti-lome Crabgrass Preventer Plus Lawn Food with Dimension is a great choice for bluegrass lawns. This can also be used on spring seeded lawns about 2 weeks after grass seed germinates. Corn Gluten: Corn Gluten is an organic pre-emergent. This is a 9-0-0, 100% slow release nitrogen that also feeds your lawn. If your fescue and/or bluegrass lawn only needs to be fed, organic Milorganite can be used from early March to about mid-May. Fertilome Weed-Out: This broadleaf weed killer comes with or without fertilizer and the type of grass you have determines which one you should use. Bluegrass likes more fertilizer, so use Weed-Out "with fertilizer." Fescue or zoysia lawns use Weed-Out without fertilizer. April is a good month to apply either when weeds, such as dandelions and plantains, are up and growing. Zoysia or bermuda grass lawns are fed with high nitrogen plant foods after full greenup in late spring and summer. Ferti-lome Lawn Food Plus Iron is an excellent choice. Simply apply about June 1 and again July 15. Hi-Yield Bug Blaster II: This product kills ants, fleas, ticks, chinch bugs, and many other annoying surface feeding insects (not grubs). Bug Blaster II is best used once or twice during the summer when insects are the biggest nuisance. Grub Control: Preventative grub control with Hi-Yield Grub Free Zone is put down around Father's Day and is usually all that's needed for the year for our most common grub, the masked chafer. Bluegrass lawns are a grub magnet so this should be a part of your normal lawn bluegrass program. We have recently seen Japanese beetle grub damage on both bluegrass and fescue lawns which means a preventative on both types of grasses should now be considered. Dylox is a rescue treatment contact killer that will rid the yard of the grubs it comes in contact with. For organic lawns, we have Natural Guard Grub Control. Natural Guard Grub Control is a Green Chemistry Award winning formulation that causes grubs to rapidly molt, resulting in their control. Fall Fertilizers: Fall feeding fescue and bluegrass lawns starts in September. If seeding large areas, Fertilome New Lawn Starter gets newly germinating seed off to a good start. Fertilome Lawn Food Plus Iron should be used on established lawns or 2-3 weeks after newly seeded areas germinate. 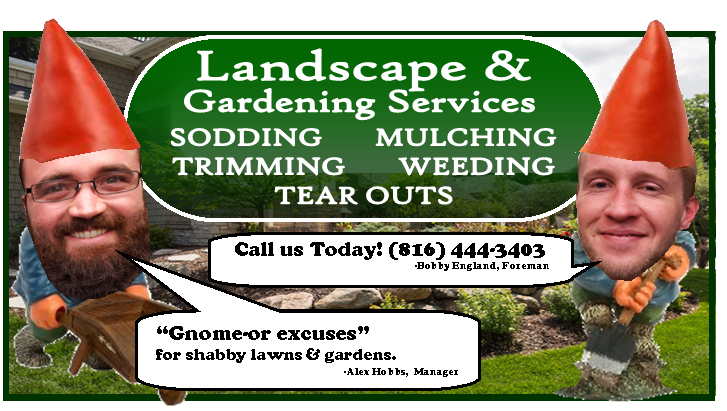 For organic lawns, Milorganite is a good choice in September thru mid-October. Winterizer: After fall feeding, winterizing lawns with a high nitrogen fertilizer such as Fertilome Winterizer is a very important step to grow vigorous, healthy grass. When winterizer is applied in late October/November, this feeding dramatically increases root growth. Properly winterized, lawns come out of winter dormancy with increased vigor and better green color in addition to better drought and disease tolerance in summer.